There continues to be widespread print and broadcast coverage of yesterday's incident in Finsbury Park, which is being treated as a potential terrorist attack. 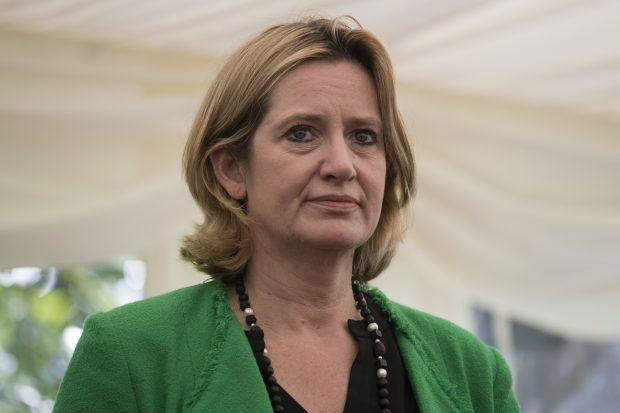 Writing in today's Guardian, the Home Secretary said that the government is committed to tackling hate crime and violent extremism aimed at Muslims and has been saddened to see suggestions that the attack was not being dealt with in the same way as earlier attacks in Manchester and London. She also reiterated the Government's pledge to review the Counter Terrorism Strategy, wrote about the creation of the Commission for Countering Extremism and gave information about the hate crime action plan and places of worship security funding scheme. The Guardian piece can be found here. An unedited version of the piece can be found below. Every community in the UK has been stunned and saddened by the unimaginable horrors we have faced in recent weeks. Tragically, the holiest month in the Muslim calendar has this year been shattered by a series of devastating incidents. British Muslims universally condemned the London Bridge attackers for their cowardly attack during Ramadan. Just last week Muslims, awake to start their fast, saved lives by hammering on doors to wake neighbours as the Grenfell Tower fire took hold in the early hours. Mosques opened their doors to victims of all faiths as part of the incredible community reaction. And now – in the final days of Ramadan – the Muslim community has been rocked by the attack in Finsbury Park. This is another attack on Britain and – like the other tragic events before it – it unites us all in grief and anger. We must not let hate win. It is vital now more than ever that we stand together and do not allow people who seek to use hate to divide us to succeed. I have been saddened to see suggestions that this cowardly crime is not being dealt with in the same way as the Westminster Bridge, Manchester or London Bridge attacks. Let there be no doubt this attack is every bit as horrifying as the others we have seen. Our grief is no less raw. When this van targeted innocent people tending to a man who had taken ill, police were on the scene and responded within one minute. And within eight minutes they had declared it a terrorist attack. My thoughts are now with the victims of this outrage, their families and the Muslim community. In recent times Muslims have been quick to show solidarity and support victims of other attacks, and it is now time to extend the same hand of friendship to them. Other faiths have already been quick to express their shock and lend their support. But we must not stop there. This is not just about warm words. Muslims must feel safe and we are working together to tackle hate crime as well as all forms of extremism. This is something in which all of us have a part to play. We must unite the might of community spirit and the full force of the law to ensure every person in the UK is protected. Let there be no doubt we will be tough on terror wherever it strikes. And last night’s attack was terrorism. The Prime Minister has made clear that we will be reviewing our Counter-Terrorism strategy and ensuring that police and security services have the powers they need. In December, I proscribed National Action - the first extreme right-wing group to be banned as a terrorist organisation. A new Commission for Countering Extremism will be set up to tackle those who seek to erode the shared values that make this country great. Sadly, indicative figures suggest that over half of those who experience hate because of their religion are Muslim. Any hate crime is unacceptable but this stark figure is something we will not shy away from. We know there is a problem and it is something we have been working to address. Last year I published the Government’s hate crime action plan and launched a £2.4 million fund to provide protective security for places of worship which are at risk of hate crimes. Many mosques have already benefitted and we will continue to extend the scheme to others which need help to install CCTV or security systems to keep them safe. Britain has some of the strongest legislation in the world to tackle hate crime and anyone responsible will face the full force of the law. We encourage people to report any hate crime incident to the police, the True Vision website or Tell MAMA. All reports will be taken seriously. The threat from the far right is as corrosive as the twisted Islamist ideologies so many Muslims have spoken out against. Legislation alone is not enough to tackle this vile form of hate. Our Building a Stronger Britain Together programme provides support to groups tacking all forms of extremism. We are working in schools and communities to protect young people from extreme ideologies. We have set up the first ever cross-government working group on anti-Muslim hatred. But that does not mean there is not more to do. I have been moved by the stories of those who witnessed this carnage at Finsbury Park and have listened to their concerns. The scale of the policing operation has been enhanced to protect and reassure communities across the country. This will continue for as long as it is needed. Muslim communities are working closely with the Government to combat Islamophobia and ensure people have the support and protection they need. This attack was designed to cause pain. In this it has succeeded. We are devastated, but our grief is shared and it has brought us closer together. This cowardly attacker – and those responsible for the other atrocities that have bruised but not broken the heart of this great nation – has failed in his mission to divide us. Britain has united to send a strong message to anyone who seeks to peddle hate. Together we are stronger. Together we can beat hate. Together we stand with the Muslim community – you are not alone, we share your pain and we will not let you down. The media continues to cover the aftermath of the fire and speculation around whether the Home Office will grant visas to family members of those who tragically died. The Home Office has been clear that established processes are in place which allow us to consider visa applications outside the Immigration Rules on compassionate grounds. We have also launched a 24 hour advice line for people directly affected by the fire who are seeking guidance on UK passports, visas, or immigration. Details can be found here.